Member: $45/hr, Non-Member: $60/hr - or all you can fly for: Member: $499/year, Non-Member: $699/year! 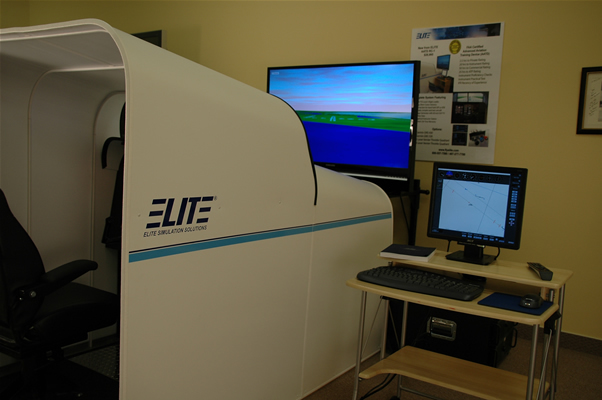 ELITE's FAA approved Advanced Aviation Training Device is setting new standards in high-quality simulation technology. 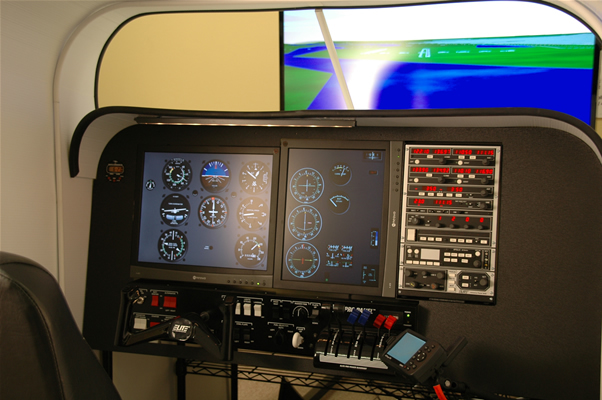 The RC-1 is a complete full-featured ATD with life-size, high-resolution instruments, cockpit enclosure, instructor station, and external visual system with large-screen display as standard equipment. It is three trainers in one with included simple, complex, and twin-engine aircraft capability. Add an optional Garmin GNS 430/530 or connect any handheld GPS or EFB for unlimited extended training possibilities. The RC-1 provides the same flying credits as a level 3 FTD for a fraction of the cost. Compare the RC-1's "benefit-to-cost ratio" to any Advanced ATD or FTD. The RC-1 is simply the best value in simulation today. Enhance your training program, and your bottom line! Log valuable hours towards your ratings!